But why do they seem to die so easily in the first place? 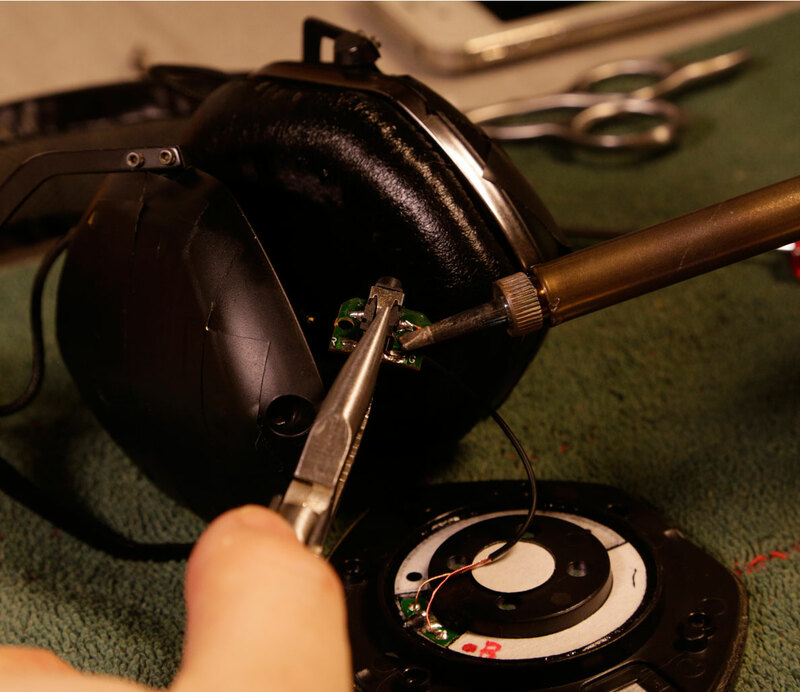 “Wear and tear, abuse, poor design, or they’re just doing what they were designed to do—last just past the warranty,” says Jay Ambrose of Jay’s Headphone Repair. 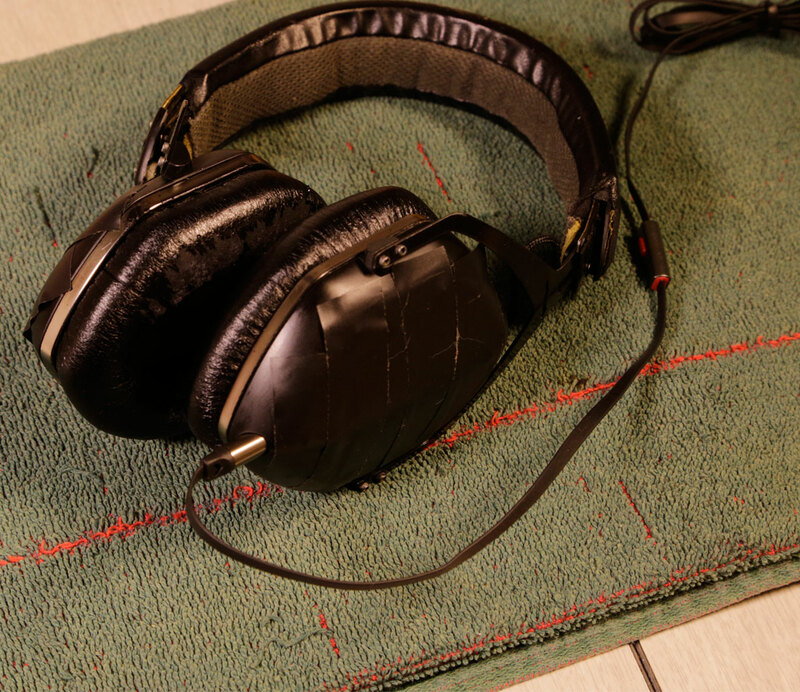 And if the cable’s yanked or stepped on, or you keep the set in a bag with heavy items, that can damage the ear cup’s female plug, so an ear quits or the sound cuts in and out. It’s frustrating—and expensive. 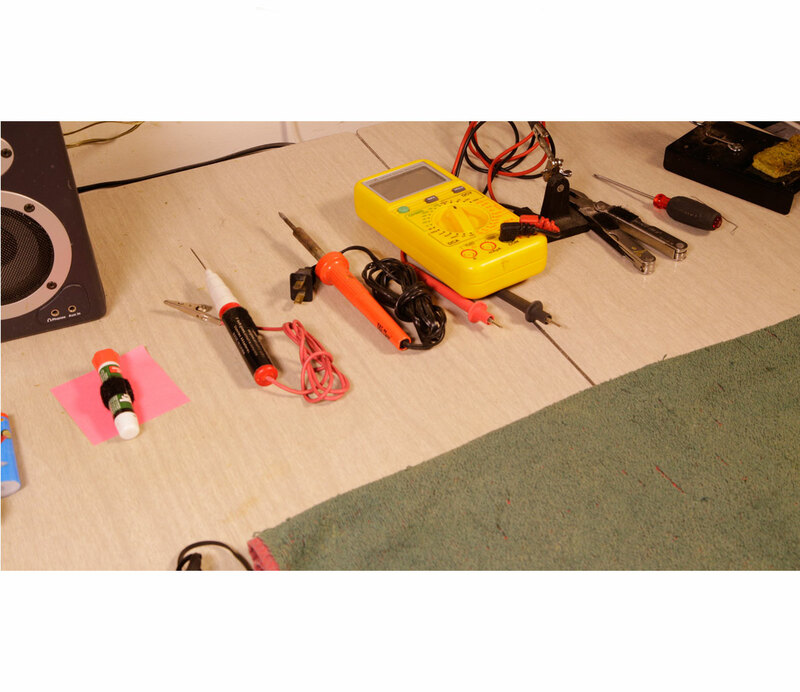 But not if you do this: Round up a small Phillips-head screwdriver, needle-nose pliers, a basic solder iron, solder, and a continuity tester, then follow these directions and photos. 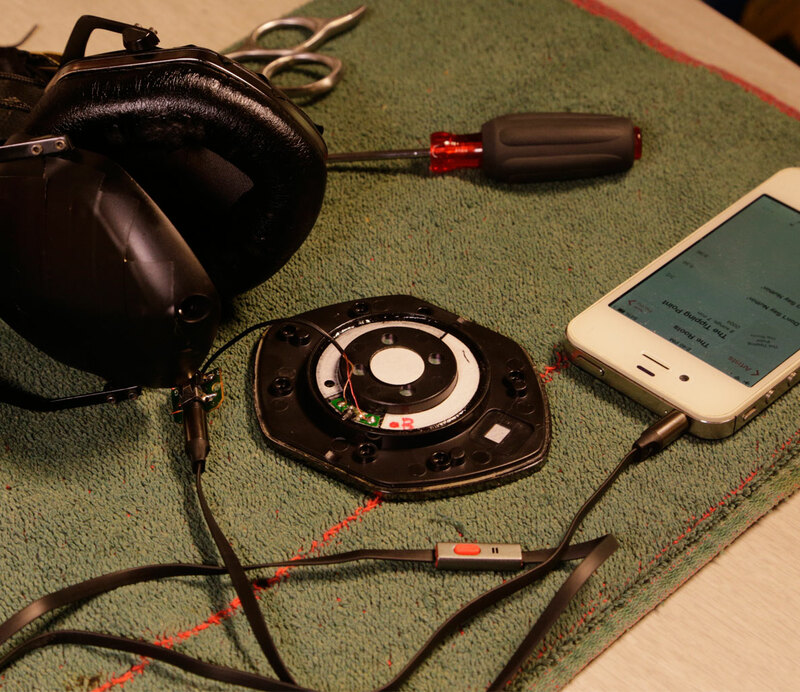 You’ll be out of your headphone-less hell in no time. 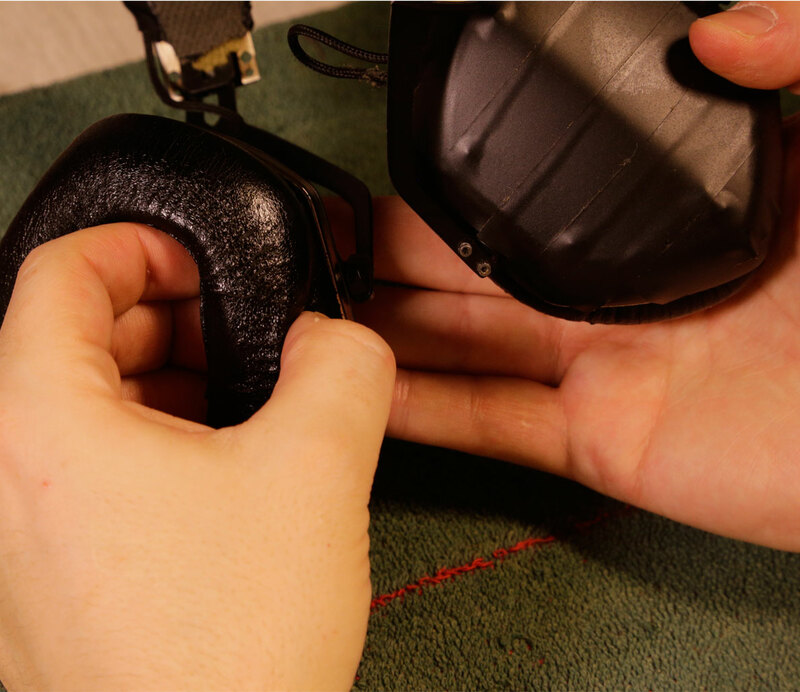 Note: These tips only work for headphones with a detachable cable. Step 1: Diagnose the problem. Use the continuity tester to test the detachable cable. Connect each tip of the cable to the + and – pins on the tester. If the connection is good, you’ll see and read a signal. A headphone plug has 3 connections: the tip, ring (middle) and sleeve (closest to the handle). The left + channel is wired to the tip, the right + is wired to the ring, and both sides are ground – to the sleeve. Use the continuity tester for each contact on the cable. (Contacts are found on the small circuit board that the female plug is attached to as well as on the speaker itself. Often the legs of the female plug are going into the contact or through the board. The contacts look like tiny silver Hershey kisses—especially if there’s a wire coming out.) If any of these don’t carry a signal using the continuity tester, then you have an issue with the cable and have to order a new one. Step 2: If the cable is good or you got a new one and there’s still an issue, the problem must be inside your headphones. Open them and look at the contacts. First, remove the pads. They’re usually stretched around a rim and can be removed by placing your fingers inside the pad and stretching it outward and working your way around. Some pads are snapped or held on with double-sided tape; in that case, pry around the edge very carefully with a plastic wedge or guitar pick. If you’re not sure, check the user manual online or you can often find a video online that demonstrates your specific model. 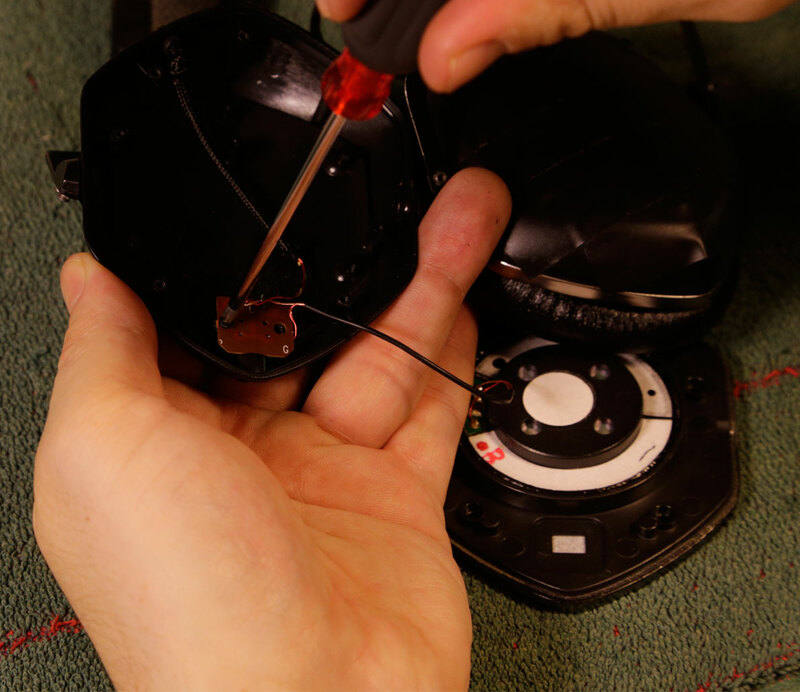 Step 3: Remove the screws that hold the speaker in place and be very careful they’re not pulled into the center magnet. 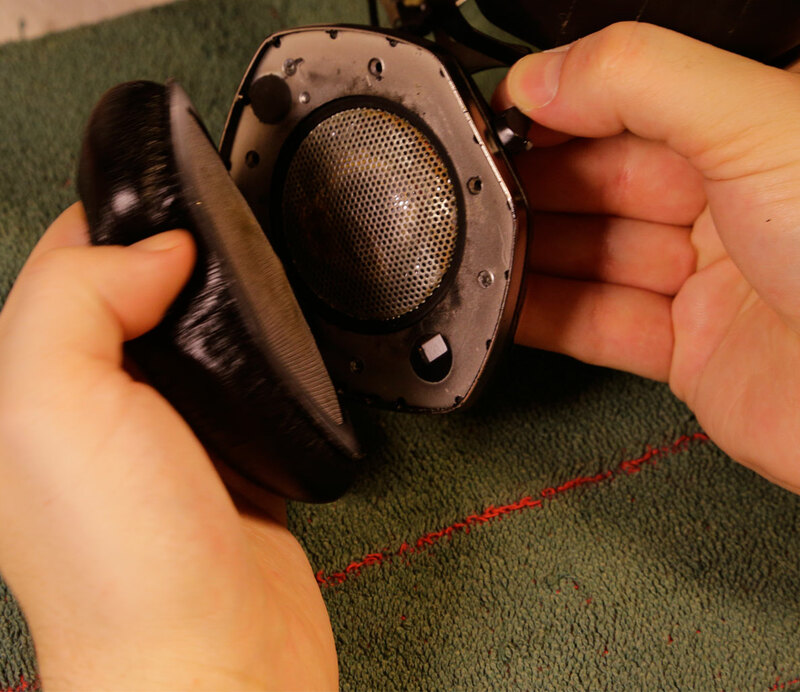 It’s good to cover up most of the speaker with your hand, only exposing one screw at a time. 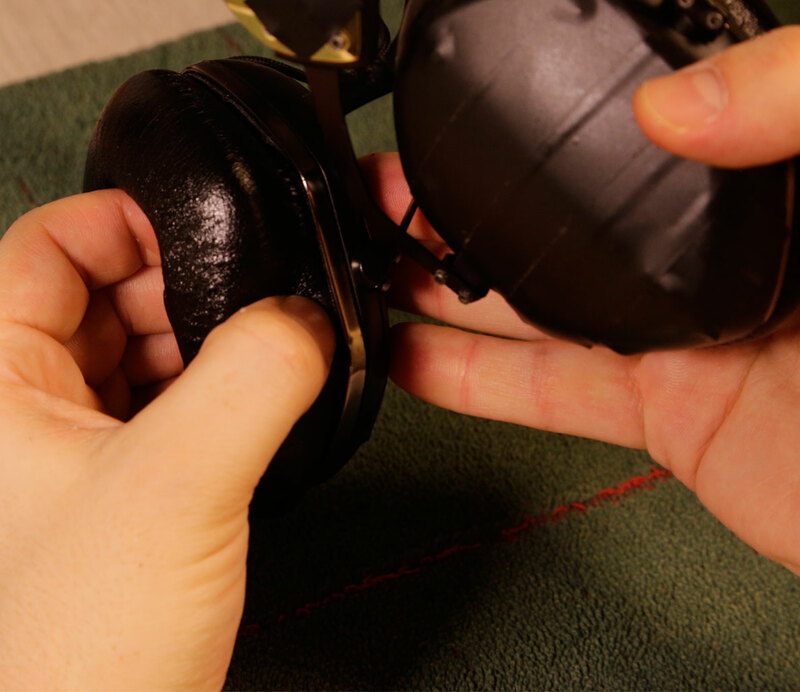 Keep the screws in a safe place far from anywhere you’d set the headphones down. A screw in the speaker can ruin them. 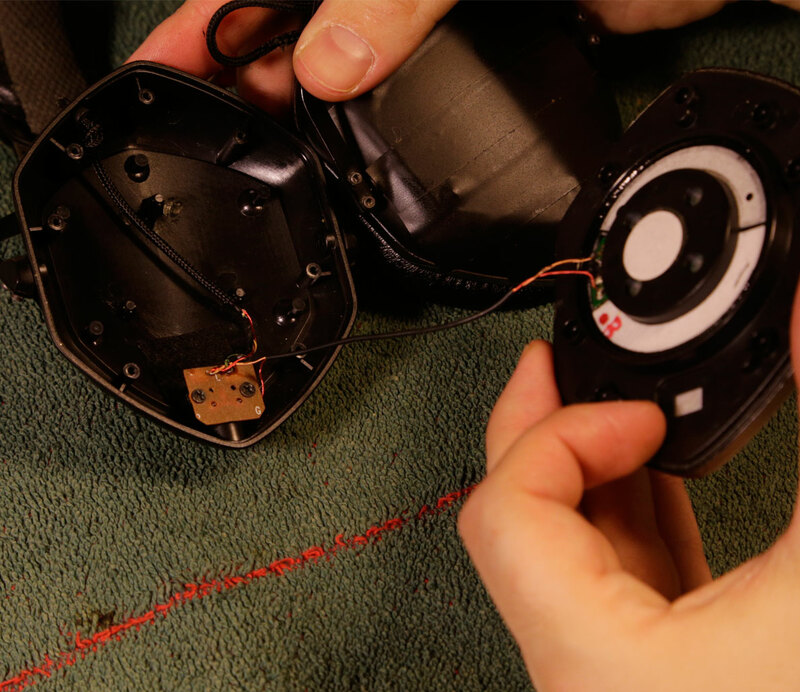 Step 4: Examine the wire and solder connection on the back of the speaker, as well as the female plug. The female plug is usually connected to a small circuit board by 4 pins and there are several wires going into the board. 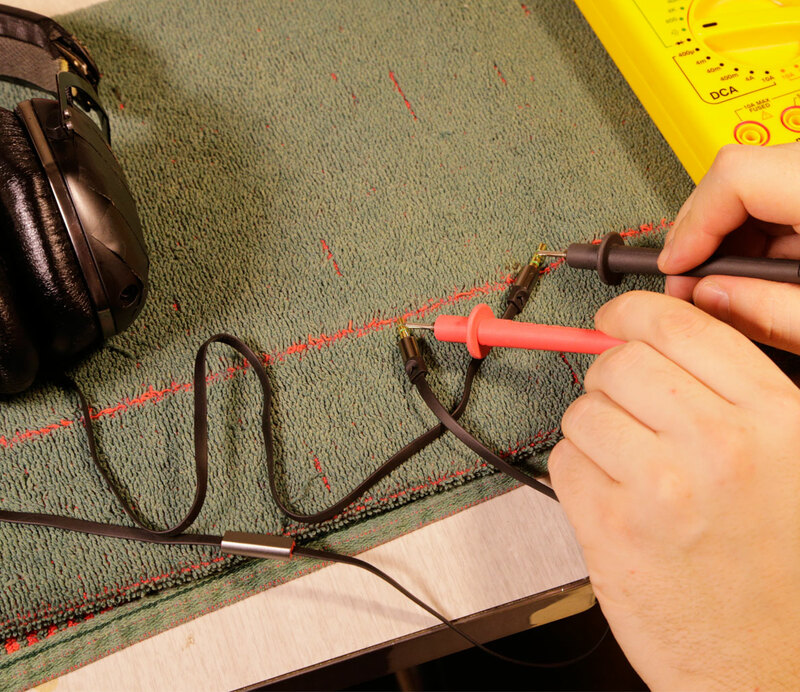 If there are any loose or broken wires on the exposed side, solder them back into place. Look for corrosion caused by moisture, and if you see any, clean the board with rubbing alcohol. Step 5: Unscrew the female plug and check the bottom side for damage or broken solder contacts. In a yank, the solder on one of the pins pulls apart and separates the connection and sometimes the pin bends. Step 6: Hold the female plug and board using the needle nose pliers. It’s important to hold with some pressure, but not too much. You want just a little pressure on the contacts. 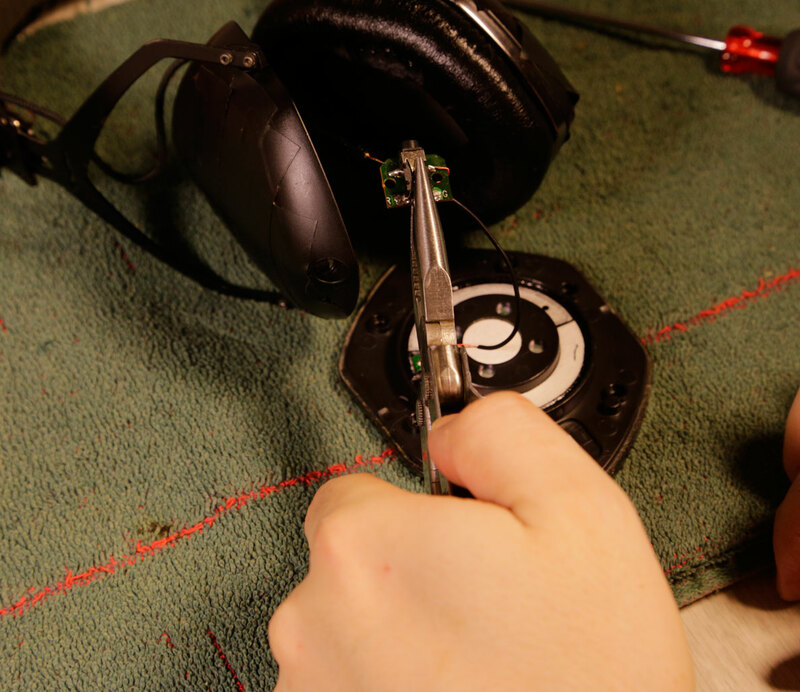 Step 7: Using the solder iron, heat the contacts up until the solder melts, then let it cool off. If a pin has been pulled away, you’ll notice that when the solder melts the pin, it’ll move into proper position because of the pressure from the pliers. Add additional solder if necessary, but in most cases you won’t need it. Expert tip: Be sure to use a clean solder iron tip. The tip won’t transfer heat as effectively if it’s coated with oxidation and residue. 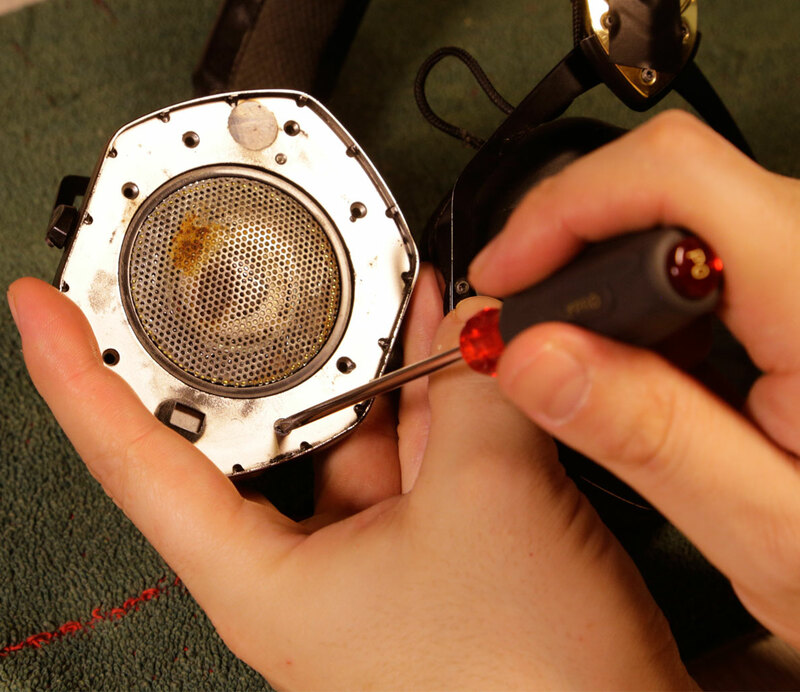 To clean it, add solder to the iron tip and wipe any residue away with a moist sponge. If this doesn’t work, you can use sandpaper on the tip, and then try again with the solder. Step 9: Once you’ve confirmed your success, unplug them. Screw the female plug and speaker—being careful with the screws—and replace the pads. You should be good to go!